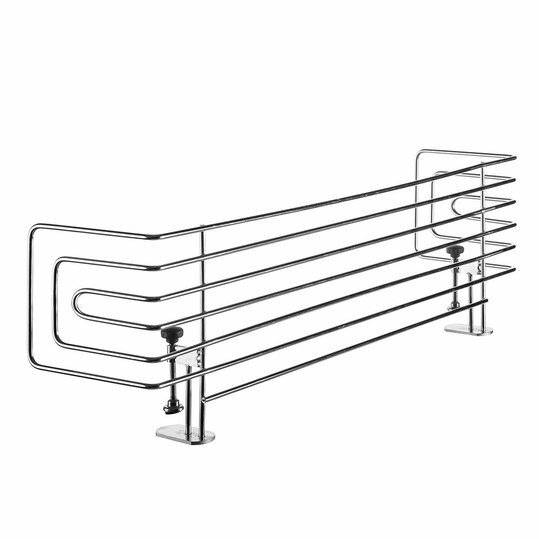 The Hearth guard stainless steel from Reer prevents painful burns. Thanks to the one-piece screw clamps, it can be mounted quickly and without drilling or screws and prevents your little one from gripping the hot pegs and hot plates. It is suitable for all working areas up to a length of 60 cm and, thanks to its lateral wings, also protects against lateral intervention. The extra narrow fixing foot also fits into narrow (from 3mm) spaces and can be fixed to 15-48mm thick worktops. The grid is made of stainless steel and can be cleaned in the dishwasher.